As some of you know, I am a big fan of the Sims series. From the moment I picked up Sims 3 over a year ago, I was hooked and have spent countless hours playing this game. For a time, I was so addicted my husband was missing me playing other games and had to remind me that I enjoyed other games since I was so immersed in the Sims 3 world. To say the least, it wasn’t much of a shock for him when I told him I wanted to play Sims 4 as soon as it came out. While I would miss my old world, I couldn’t wait to get a hold of the game, especially after hearing about the upgrades to the world and the new Sims with bigger personalities and all the new powerful creative tools to make my Sims look even more lifelike. 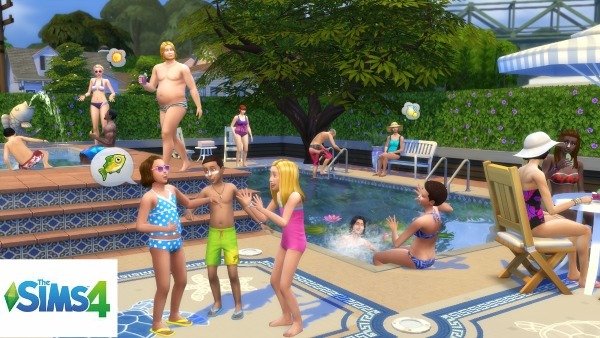 When I found out I was going to have an opportunity to review Sims 4, I literally was squealing and jumping up and down. To say the least, the game didn’t disappoint! Sims 4: What is It? Looking for a fun game where you can create an entire world, and watch different stories unfold with a click of a mouse? 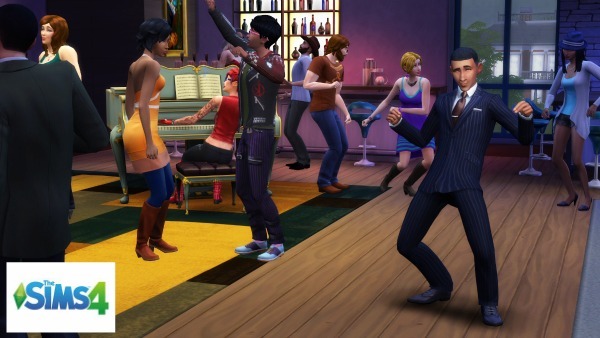 If so, we think you will love the latest addition to the Sims series – Sims 4! This highly anticipated life simulation games lets you play life like never before with their new powerful system! For those who have played the Sims series before, each Sim you create is smarter, more relatable, and emotionally aware of what is going on around them, and will act based on their current thoughts and feelings. with the new traits, skills, and aspiration system, you can have stories around your Sims that are more touching, funny, and possibly weirder too! With the new vibrant, beautiful neighborhoods and settings, you will truly fall in love with Sims and may lose countless hours being a part of their lifelike world. As a Sims player, you are likely also curious about the character builder and building tools? Both of these systems got an entire facelift, with the Create a Sim and Build Mode being much more powerful, intuitive, and fun than the previous edition of the game. With even more control of your Sims and home, you can create works of art and Sims that possibly even look like real people. You can even share your beautiful world with others with the new integrated Gallery, making playing Sims 4 even more fun. With the powerful new reward system and beautiful world, Sims 4 can easily become your new favorite game! I will freely admit, I was extremely excited with Sims 4 coming out. As someone who loves the Sims series, I was excited to have the chance to see the newly designed Sims, their personalities, and how much the world had changed. As you can see from the pictures, the new world is absolutely breathtaking, with fine details never before been seen in Sims games. As a gamer, I am someone who loves good graphics, and was surprised when I saw some details that have made their way over from other EA games, especially the beautiful water and reflections that contribute to a beautiful, immersive world. With the gorgeous world and more lifelike, relatable Sims, EA has truly outdid themselves with Sims 4. Based on my own experience, I am delighted to give Sims 4 an A+ rating and recommend it to all of my readers. Would you like to try Sims 4 yourself or buy it for a Sims lover in your household? You can buy Sims 4 for $59.99 or The Sims 4 Digital Deluxe Edition (with expansions) for $69.99 on Origins. Just make sure to set aside plenty of playtime since odds are that once you start you won’t want to stop playing this latest addition to the Sims series!